Living on the road forces you to assess all the things occupying your suddenly very limited space. Haven’t worn a clothing item in a month? Then it’s back to the storage unit for you! Sure, my wardrobe is a bit limited these days, but if we’re all honest with ourselves, we just end up wearing our favourites anyways, so might as well toss the rest. And shopping takes on a whole new spin – can this item be crammed into a small space? Do I really want this? Is it worth moving items out of the van to make room? Kinda kills impulse purchases eh? But it’s a good lesson – to assess what one really truly needs, and then realize over and over again that you are OVERFLOWING with wants, even in your tiny space. I can’t read 8 books at once, and I sure can’t wait a closet full and a tote full of clothes. Options = luxury. What privilege. 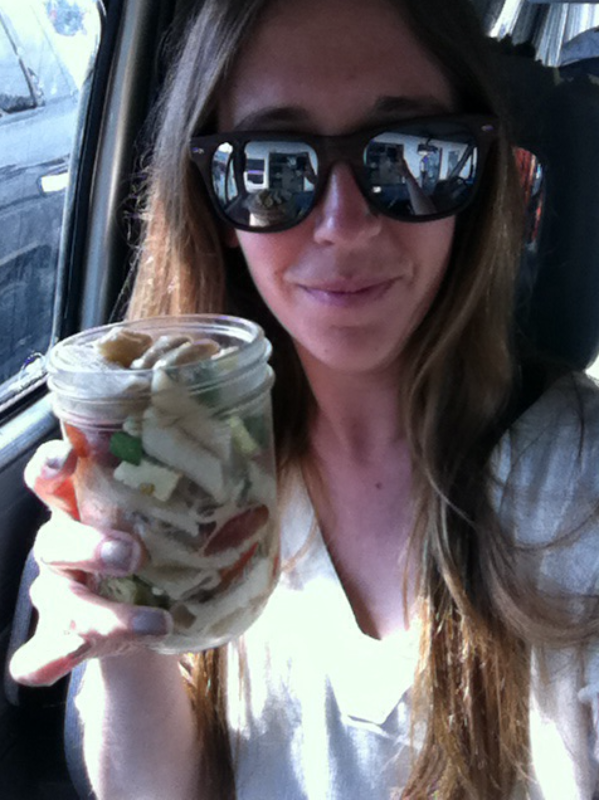 Cheers to eating out of my only storage container these days…all hail the Mason jar!